Inhabitat has a great article about a new luminous wallpaper that has been released by designer Camilla Deidrich, It’s fiber optic in nature. 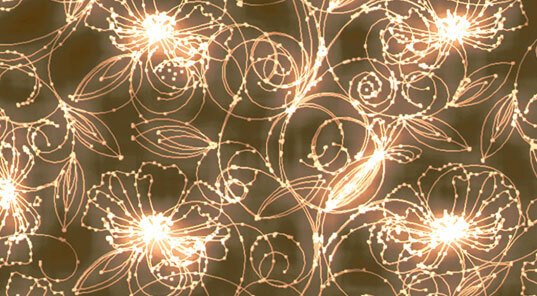 What if we could light our homes with glowing wallpaper rather than having to rely on electric lights? 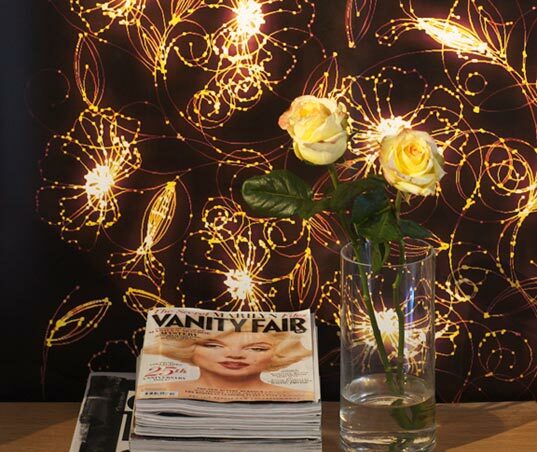 Swedish designer Camilla Diedrich has asked this exact question, and in response, created a stunning line of luminescent wallpaper that is lit by fiber optics. Her Nature Ray Charles Wallpaper features a delicate assortment of floral motifs that shine through in lucid lines, adding a touch of energy-efficient ambiance to any room. Thanks, Inhabitat. You folks have such great research!